Hostel Casa del Parque offers unlimited travel advice and travel packages so you can experience the incredible and abundant natural beauty of Costa Rica. From pristine beaches, lush rainforest, volcanoes and hot springs to mountain trekking, there’s something for the adventurer or the indulgent traveller. If you are interested in some Costa Rica tours, look no further than the helpful and knowledgeable administrative staff at Hostel Casa del Parque. We can provide tips, answer your questions and directly book tours for you to anywhere in the country. All tours include pick-up and drop-off directly to and from our door and a bilingual guide. Arenal Volcano. Taken by Shmuel Spiegelman. The Arenal Volcano is one of the most active volcanoes in the Americas. From our observation point, weather permitting, you may feel the ground tremble and see the night sky explode with ash and lava in a natural display of fireworks. Next, we will visit the hot springs of the volcano, where you can relax in the soothing waters and be caressed by the cool night air while observing the stars and the incredible night sky above the volcano. At a convenient time after your arrival, we will treat you to a splendid dinner. On the way to the volcano we will visit Doka Coffee Estate for a delicious breakfast and a coffee tour, in an actual coffee plantation where we will learn about the ancient techniques used by the experts to produce one of the best coffees in Costa Rica. 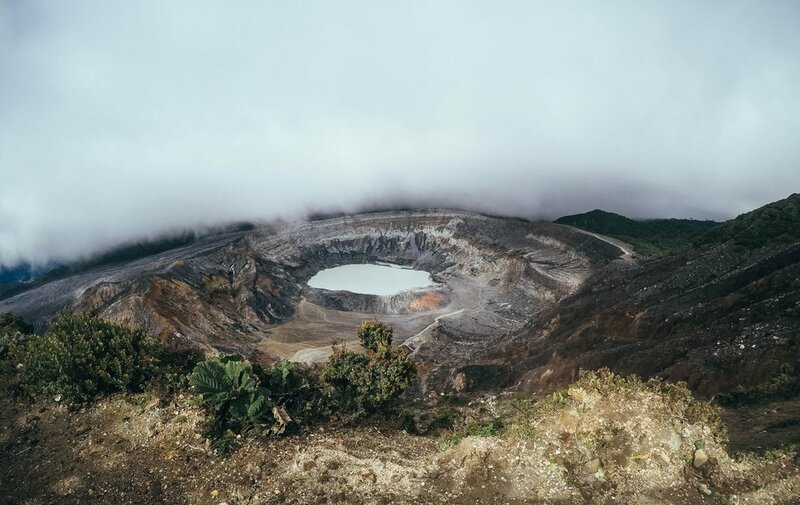 Learn about the careful process involved on the cultivation, harvesting and roasting of the Golden Bean.After the coffee tour we will continue to Poás Volcano where we will not only admire the impressive main crater with its sulfur fumaroles, but also learn about the different ecosystems in this beautiful national park. Following the visit to the volcano we will continue to La Paz Water Fall Garden for lunch and tour. On arrival to the La Paz, we will walk through a trail, leading to a spectacular waterfall in the middle of the rainforest. Inside the park we will also visit the hummingbird gallery, the serpentarium, the bird house, the butterfly garden and the frog’s exhibit. Drive to Sarapiquí, through the extraordinary rain forest of the Braulio Carrillo National Park, one of the most important rainforest reserves of Costa Rica. 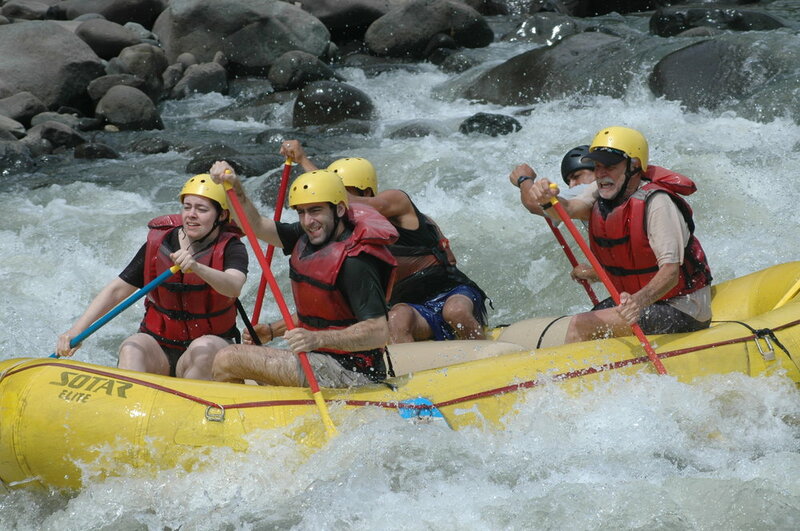 On arrival to Sarapiqui, a beautiful area known for its impressive natural richness, you will board a boat for a relaxing ride on the Sarapiqui River where you will feel in close contact with nature and admire the inspiring surroundings. Covering 29000 hectares, Tortuguero is one of the most important nesting sites of Chelonia Midas, the green sea turtle. Tortuguero’s forests and waterways are home for many endangered mammals such as sloths, monkeys, agoutis, coatimundis and manatees. There are also abundant birds, such as toucans, trogons, egrets, herons and aninghas, as well as crocodiles, turtles and countless colorful butterflies, including the blue morpho. Alcoholic beverages and tipping, soft drinks. Rain gear, mosquito repellent, for the walk only. Do not forget your camera and film. For the better enjoyment of the tour we will change itinerary in case of bad weather, road or river conditions.